Today's blog is the start of a series on lower back pain (LBP). It's a complex area and so needs to be looked at over several blogs instead of one monster blog! The first question with a back problem should be should I seek medical advice? The aim of this article is to help you answer this question. Pain from the lower back can be severe and distressing but in most cases it is not due to serious disease or damage. The spine is a strong, stable structure that is unlikely to be harmed by normal everyday activities. Action – general back pain management advice (below) consult with GP/ Health Professional if pain worsens or doesn't settle in 6-8 weeks. As ever if in doubt get it checked out. Leg/s feels weak or heavy. Action – see your GP or a health professional. Back pain with leg pain is a sign of inflammation around a nerve, especially if accompanied with pins and needles or numbness or weakness in the leg. Saddle paraesthesia – pins and needles or numbness in the groin and between your legs, may also include erectile or sexual dysfunction. Gait disturbance – legs feel wobbly or unsteady and it's affecting your walking. Your pain started after serious trauma – RTA, fall from height, heavy collision during sport etc. Action – head to Accident and Emergency (A&E) immediately. The above symptoms suggest more serious injury that needs immediate medical attention. There are a group of nerves in the lower back called 'cauda equina' these nerves supply the parts of the bladder and bowel involved in passing urine and faeces. If there is compression to these nerves and it's not addressed quickly it can have long term implications on bladder, bowel and sexual function. Thankfully this is rare, a study in 2007 estimated that it affects just 3.4 people per 1.5 million of the population. In my 10 year career I've only had to send 1 patient to A&E with suspected cauda equina compression. Pace yourself – often the key to managing pain is doing the right amount of activity, too much and you can get sore, too little and you can get stiff and weak. Pacing means doing as much activity as you can manage, usually this means 'little and often' rather than lots at a time. Gritting your teeth and pushing on through pain will often make pain worse. If you can run without pain (during or after) then you can continue to do so but don't over do it – stick with gentle comfortable runs. Ideally you should be within the first category mentioned above ('Likely to resolve with self management') if not then consult your GP or health professional before returning to running. Stay positive – the majority of low back pain settles in 6-8 weeks and can still be treated well beyond this stage. Keep a positive attitude and bare in mind severe pain doesn't mean severe damage. The back is a sensitive area with multiple nerves which mean you can get severe pain there, even in the absence of significant damage. Continue working – taking prolonged periods of time off work doesn't always help back pain. When off work we tend to be less active and spend more time sat and the back stiffens and gets worse as a result. People that continue working usually tend to do better than those that stop. That said, jobs that involve very heavy lifting may prove very difficult – in which case request a period of time on light duties rather than stopping work altogether. Avoid bed rest and prolonged periods of inactivity – the old advice of taking to your bed or sleeping on cupboard door has been shown to cause more problems than it solves! Long periods of sitting, standing or lying in bed tend to make pain worse. Most people do a lot better by staying active. Use appropriate pain relief – many people are reluctant to take pain relief incase it 'masks damage to the back' (I.e. they worry they will damage their back if they use analgesia to reduce pain), this is not the case. Pain relief allows people to stay mobile which prevents the back becoming weak and tight. Movement is good for the back (as long as you don't over do it) pace yourself and do what you can. Try to settle symptoms – use heat/ ice, gently massage the area, try a few gentle back movements, have a swim, sauna or jacuzzi – see what works for you to settle your symptoms. More information available here including some gentle exercises to try. Final thoughts; back pain is very common and in the vast majority of cases does not involve serious disease or damage. The back is a strong stable structure, supported by strong ligaments and muscles and is capable of managing day to day activities. Most acute back pain will settle in 6-8 weeks, stay active, pace yourself and keep positive to help with a speedy recovery. 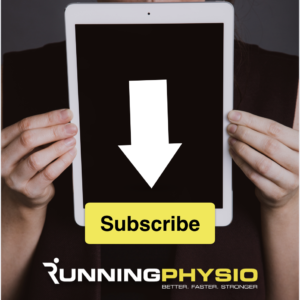 Access 3 great videos on low back pain in runners! Physical therapy has been shown to improve co-ordination, balance, prevent injuries and improve low back pain.